Most of my Practice is devoted to being a Michigan Driver’s License Restoration Lawyer. In reality, at least 75% of my day-to-day work centers upon Michigan License Reinstatement cases where a person has lost their License for multiple DUI’s. I have found that there are probably more misconceptions about the License Appeal process floating around than there is correct information. This article will focus on one of those misconceptions, the myth that a person must be actively involved in AA in order to win a Driver’s License Restoration Appeal. In a few previous articles, I specifically examined how and why a person can win a License Appeal without being involved in AA. Rather than repeat the same thing here, this shorter article will focus more on the simple fact that a person can win License without AA, and not so much how or why that’s the case. I should point out that this isn’t just my opinion, either. If a person is genuinely Sober, and I accept their Driver’s License Restoration Appeal, I Guarantee that I will win their case the first time, or I will continue to Represent the them before the DAAD without further Legal Fee until they do win back their License. Thankfully, with a win rate of over 98%, I don’t go have to go back a second time very often. Driver’s License Restoration Appeals are heard and decided by the Michigan Secretary of State’s Driver Assessment and Appeal Division (DAAD) Hearing Officers. All of my cases scheduled for a live, in-person Hearing at the DAAD’s Office in Livonia, where there are 5 Hearing Officers before whom I have appeared countless times. There are 2 other Hearing Office Locations in Grand Rapids and Lansing, and numerous remote locations that do a “video Hearing” over closed circuit TV. It used to be the case that winning back a Michigan Driver’s License without AA was almost impossible. I am told that there is still some of this bias left in the Grand Rapids and Lansing Hearing Offices; since I never go to either of those locations, I really have no first-hand knowledge about how they do things there. Instead, by having all of my cases heard in the same place, I just know what it takes to win when I handle a case. And more than half of the cases I win are for people not active in AA. That said, most of those Clients not active in AA at the time I file their License Appeal do have some past AA attendance. While not necessary, even the shortest prior involvement with AA is helpful. The AA program, whether you love it, hate it, or just don’t care about it, more or less created and provided the language of Recovery. Just about any and everything a person can learn about Recovery or Sobriety can trace its origins to AA. Yet the key thing anyone can learn about staying Sober is quite simple: They must fundamentally accept that they cannot drink, ever again. AA’s first step reads “We admitted we were powerless over alcohol–that our lives had become unmanageable. ” This has layers of deep meaning to those who are active in the program. Yet the core meaning of this first step is the cornerstone to any plan for Sobriety. 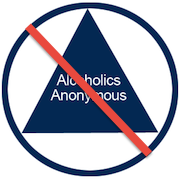 This is the biggest lesson of AA, and the most valuable admonition any rehab program can pass on; a person with an alcohol problem can only control that problem by NOT drinking. And this understanding, which really must be the equivalent of accepting, to the point of internalizing, the notion that “I cannot drink again” really addresses the primary concern of the DAAD in a License Restoration case. While the entire License Restoration process is governed by DAAD Rule 13, which sets out a number of requirements to win a License Appeal, the central and most important of those things is that a person must prove, by what is called “Clear and Convincing Evidence,” that their alcohol problem “is likely to remain under control.” In the real world, this means that a person must prove that they are a safe bet to never drink again. Thus, if the most important question in a License Appeal is whether or not a person is, in fact, a safe bet to never drink again, then the best answer to that question is an unqualified “I know I can never drink again.” Wherever a person came to learn and believe it, this understanding has its genesis in AA’s first step. The more enlightened view of Recovery has long ago accepted that a person can come to this realization, and sustain it, without being actively involved in AA. In the same way a person can most surely believe in God without participating in a formal, organized religion, a person can believe that the only way for them to control their alcohol problem is to not drink, and not need to go to AA to keep reminding themselves of that. Unfortunately, I often hear, albeit second-hand, many misconceptions about the License Appeal process that have been repeated by members of AA. Perhaps in future installments, we’ll examine more of them, but for today, the reader need only know that AA is not required to win a License Restoration Appeal. And beyond just saying it, I can, and do, Guarantee it.